Festivals are all about enjoying music, being a free spirit, and not giving a damn about how you look! But sometimes it takes a little effort have that fresh, "carefree" look about you. It doesn't take a lot, but a few products taken along with you in the ..tent?... can go along way! A few easy, low maintenance steps and you can polish up your look while still maintaining the "I'm a free spirit" vibe so embraced as these events! Sunscreen is probably the most important tool and in your toolkit for these events. They typically take place in the summer months and the last thing you want to deal with is an uncomfortable burn and a peeling face. Not to mention how important it is to protect yourself from the harmful UV rays. 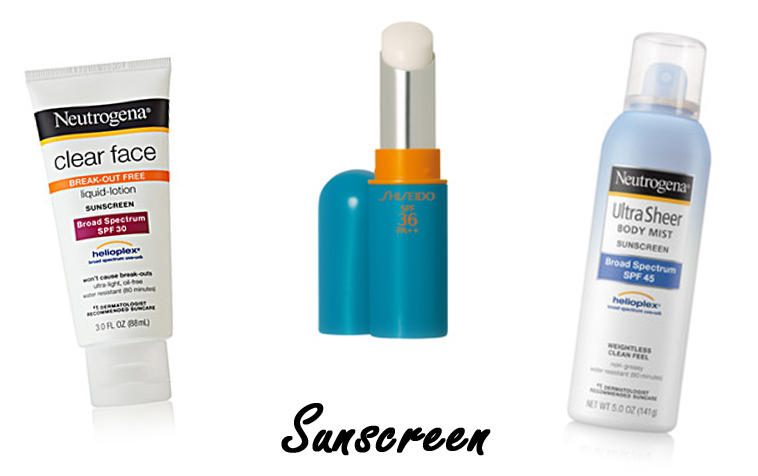 For your face, opt for a sunscreen like this one from Neutrogena that won't break you out. For your body, sunscreen in an easy and quick spray format is your best bet. And don't forget your lips! There is nothing worse than burnt lips, so don't forget something like this lip balm from Shiseido with serious SPF protection! 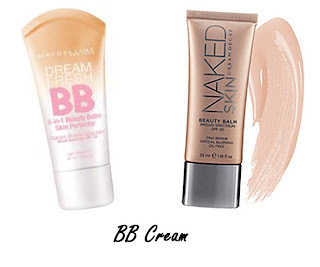 You probably won't want to bother with foundation at a festival, so a BB cream is a perfect option. It provides coverage and sun protection, and you can get a great even application with your fingers. Even without a mirror you won't need to worry about odd streaks, off coloring or too heavy of a finish because it blends seamlessly into the skin. The drug store offers great options, like this one from Maybelline that I use weekly. You can also go for a higher end product like this highly rated product from Urban Decay (left). Lots of people won't bother with eyeshadow, but a little shimmer on the lid can add light to your face and brighten your eye area. Take a long-wearing cream eyeshadow in a neutral color and you can quickly apply it all over the lid with your finger. The fact that it doesn't need to be precise makes it perfect for a festival! Go for a Maybelline color tattoo or a higher-end version with better wearing power like the Makeup Forever Aqua Creams. 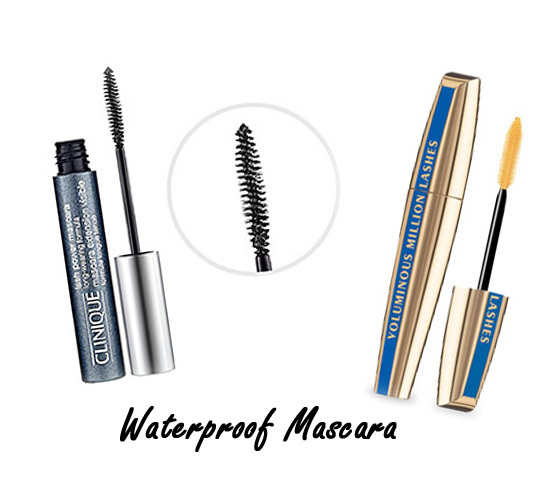 Mascara is a staple for most women so it may be one of the few things you bring to a festival. 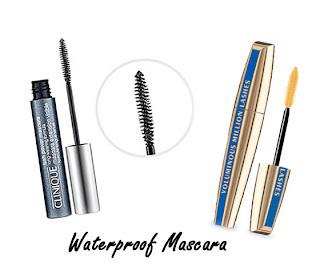 If you do choose to bring mascara, definitely opt for waterproof so you don't have to worry about smudging or running! 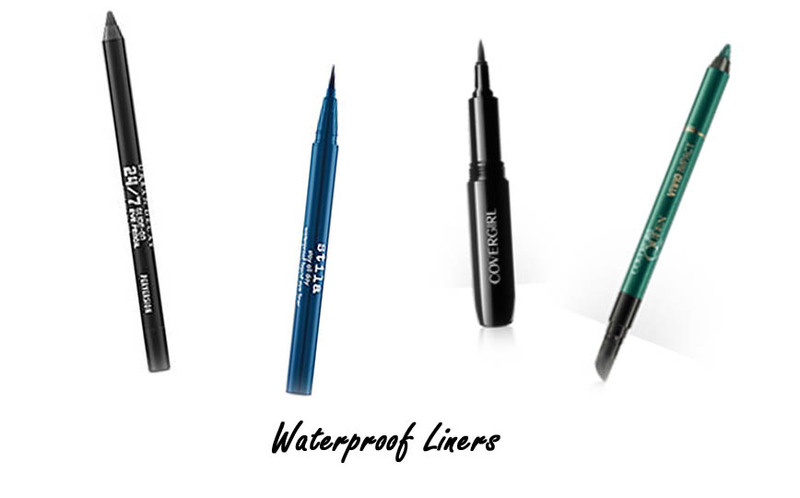 If you want to add a bit more pizzazz to your festival look, bringing waterproof liner in a fun color, or in your basic black is a great option. Look for products that say "24/7" or "24 hour" or just plain "waterproof"! Above are great products from Urban Decay, Stila and Covergirl. 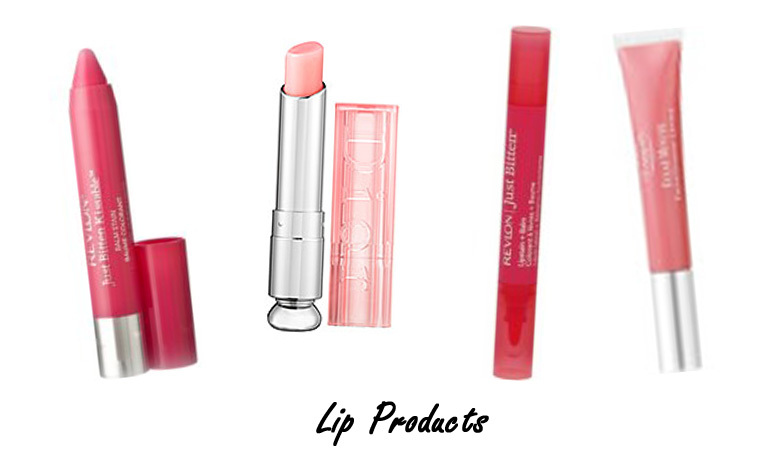 A lip product can be really quick, easy and maintenance-free if you choose the right one! A stain (Revlon Lip Stains-1st and 3rd from left) will last all day and is resistant to smudging and wearing off. The Dior product (2nd from left) is a nifty formula that claims to adjust to your specific skin to create the perfect color! You can also opt for your basic lip gloss, like this one from Clarins (4th from left) that conditions your lips and leaves a subtle color and gloss. Two-in-one products are awesome for events like festivals and just traveling in general. A blush that doubles as a lip product saves space and can be really convenient, but might require a few more minutes in front of a mirror to get the application just right. On the far left is a blush by Givenchy that claims to adjust to your skin to create the perfect flush, which definitely makes things easier when you don't have a lot of time or motivation to perfect your makeup. 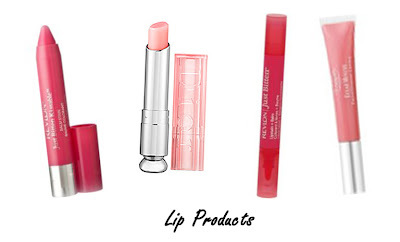 The rest are similar two-in-one products by Stila, Too Faced and Josie Maran without the color-adjusting effects! Some other things to consider bringing along on your music-loving adventure are, one, a makeup setting spray. This one by Urban Decay claims to adjust to changing temperatures, keeping your makeup in place regardless of the weather! Spritzing on a setting spray also reduces the need for a powder. Another nice addition to your travel items is a perfume rollerball. It can never hurt to have a little extra help in this department especially on hot days! Lastly, what I consider a necessity is lip conditioner. 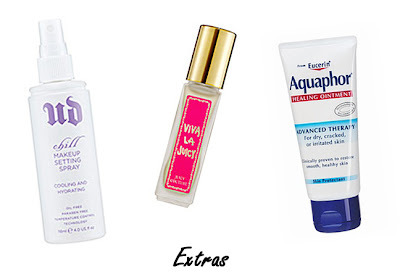 I can't live without my Aquaphor, but any lip balm or chapstick will stave off chapped lips!